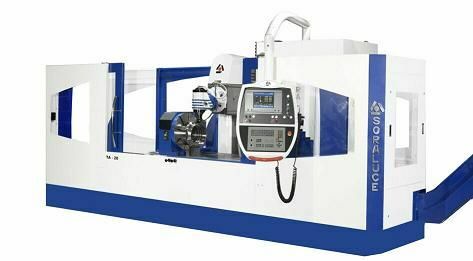 The Soraluce TA- 25-A with Heidenhain 530 control is a robust milling machine with fully automatic head with 360 ° orientation . This presents a very thorough mechanical characteristics. The maximum size of piece covering is 2500 x 1000 x 1000 mm . It also has accessory divider plate connected to program the machine.